"It's that most, wonderful time of the year!" Or at least that's what people say who want to get out and enjoy the snow, do a little sledding and maybe make a snowman or two. Animals don't want to miss out on the fun, though. 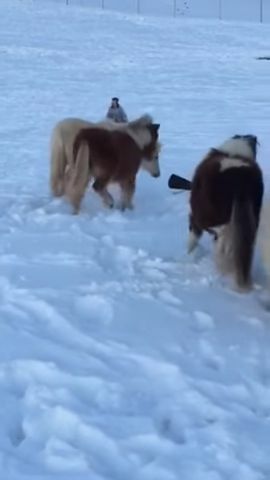 The miniature horses at White Tail Farm, in Charles County, Maryland, are no exception. According to the farm's site, all of the horses there are double registered by the American Miniature Horse Association and American Miniature Horse Registry. The predominate bloodline is the Buckeroo line, but the farm also has horses from other lines. 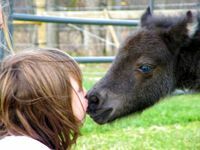 Besides being descendants of excellent bloodlines, these miniature horses have a fun-loving side, too. The first significant snowfall of the season found the horses out frolicking with the people on the farm. Marlene and Holly Graves, a mother and daughter-in-law team, began their venture in 2007. Both Holly and her husband and children live on the farm along with her mother- and father-in-law. Although Marlene and Holly are in charge of the breeding, the farm is a family operation. The children spend lots of time interacting with the miniature horses, so the horses treat them as part of the herd. Nose rubs and kisses get traded as part of the process. 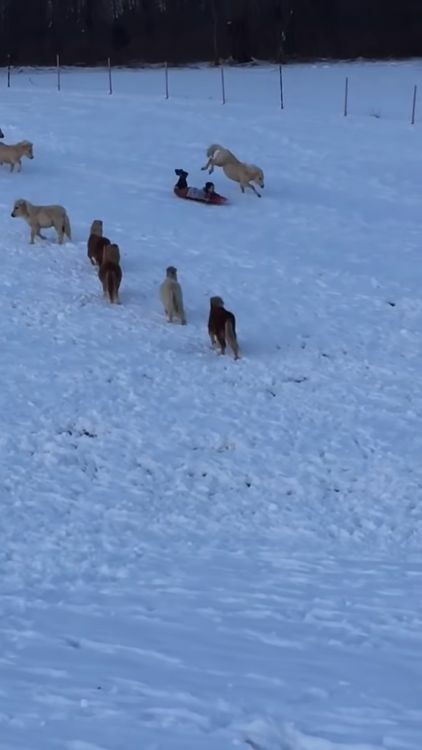 During the first snowfall of the season, the children decided to enjoy some sledding. Their grandmother states in her YouTube post, "We borrowed their [the horses'] pasture for few good hills." A second post shared that during the first run down the hill, one of the grandchildren lost a boot, which the horses had to investigate. 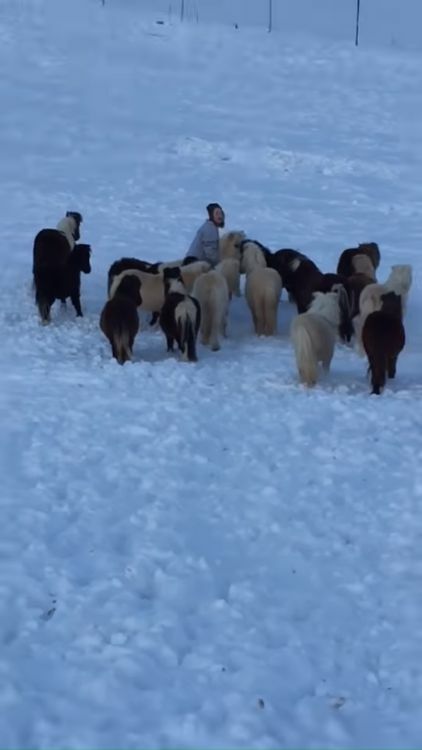 The horses in this pasture were yearlings and wanted to play in the snow as much as the children. 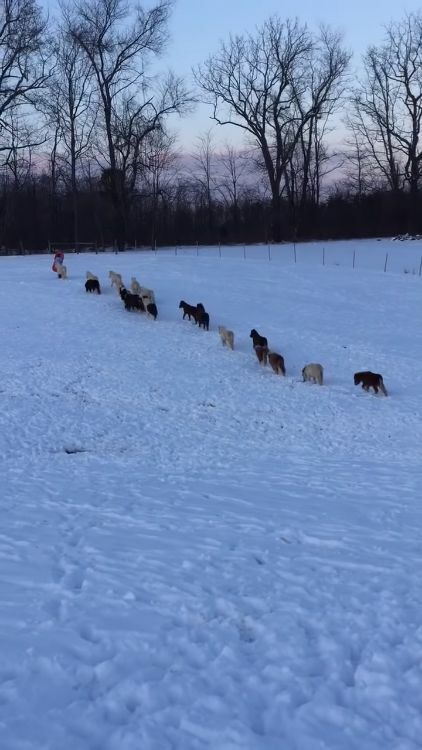 After a successful run, the horses joined into what the grandmother jokingly called "follow the leader." A new run began, and the horses raced down alongside the child, congregating around her to make sure she was all right. 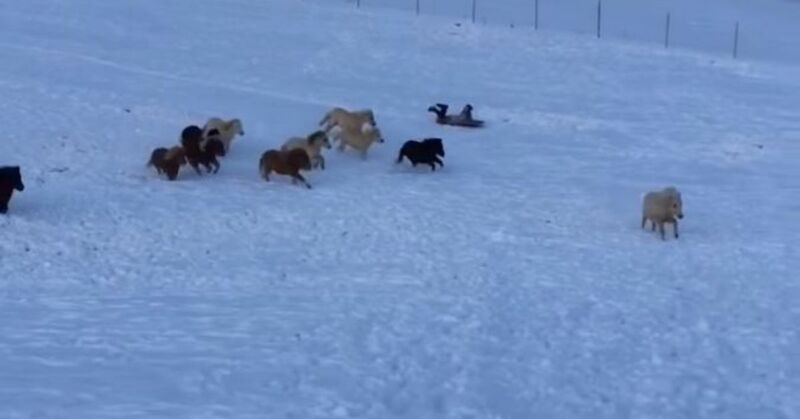 All the time the children had spent with the horses turned the sledding into a play day for all.